Deadline for submissions: Midnight Saturday 25th November 2018. Each artist can submit one artwork for £10, two for £15 and for three £20. Deadline for submissions: Midnight Sunday 25th November 2018. 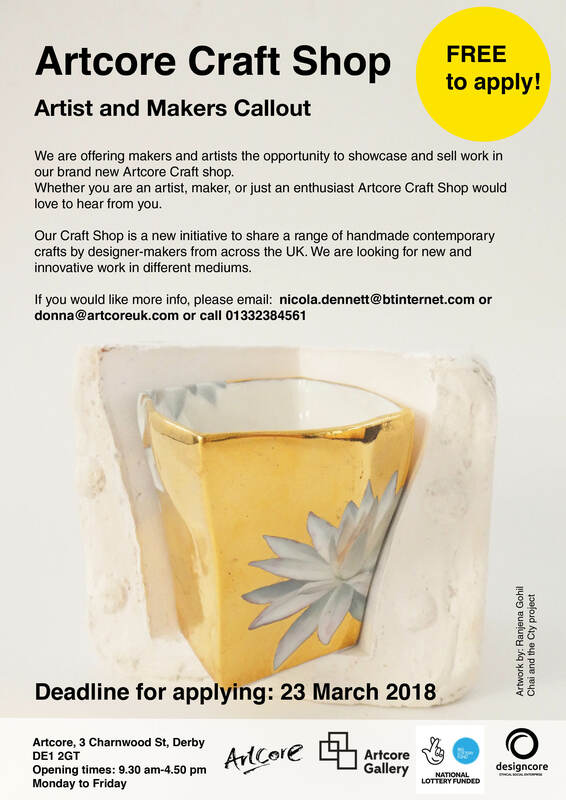 We are offering makers and artists the opportunity to sell work in our brand new Artcore Craft shop. Whether you are an artist, maker, or just an enthusiast Artcore Craft Shop would love to hear from you. With a professional programme of activities and events, regular weekly workshops and a programme of thought provoking exhibitions, Artcore is a vibrant arts venue in the heart of Derby. Our Craft Shop is a new initiative to share a range of handmade contemporary crafts by designer-makers from across the UK. We are looking for new and innovative work in different mediums. We seek work on a sale or return basis, charging 30% commission (inclusive of VAT). At Artcore Gallery, artists are invited to explore what is the role of female artists as citizens and what is their impact in our current society. The current economic and financial crisis is important in constructing gender citizenship. In neo-liberal times active citizens are conceptualized as independent, rational, and able individuals. 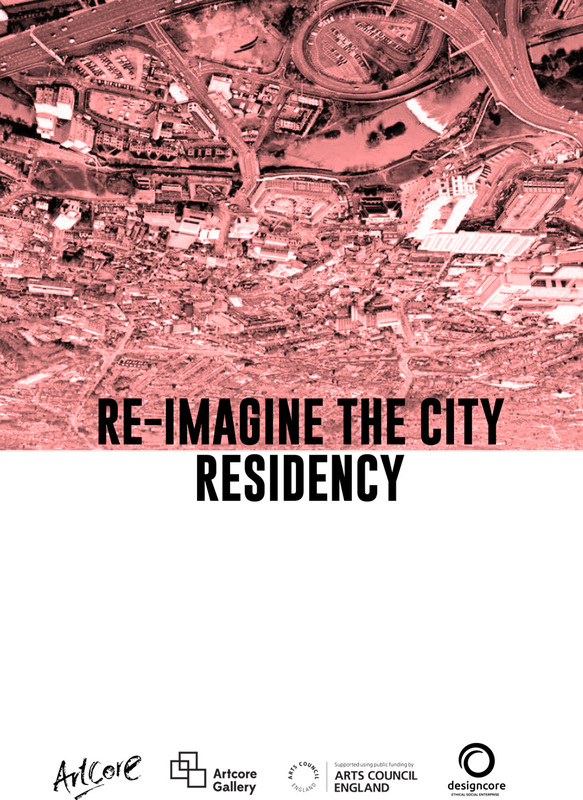 This project will seek to challenge the neo-liberal myth of citizenship, and working alongside artists, to re-imagine citizenship, identity and women’s labour with a view to informing new visions for the future. 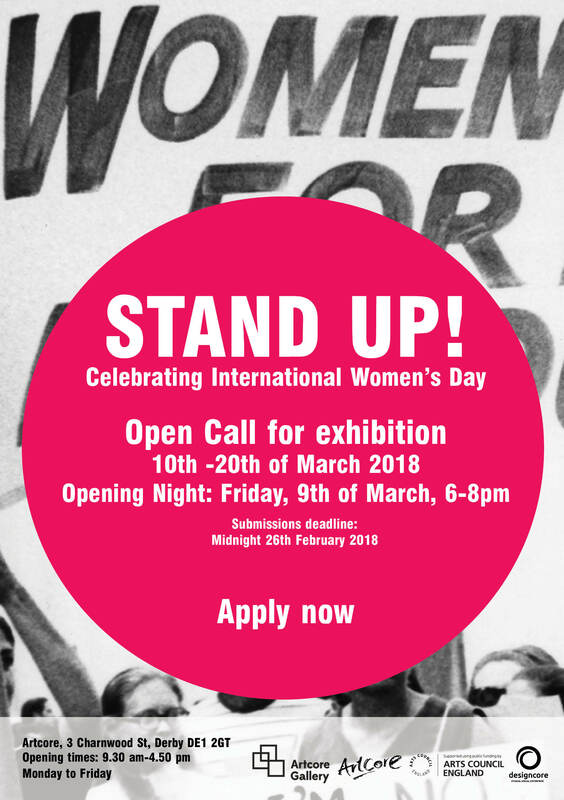 The show aims to exhibit the impact art has on gender equality while showcasing how far women have come in the art world, and how it has been life-saving and changing. We are looking for artists to exhibit innovative and critically informed work. The show will be held in Artcore’s gallery. Original works varying from painting, sculpture, collage, prints, mixed media, textile, and photography are welcome. One exhibitor will be awarded a solo show in Artcore’s gallery. This will be an opportunity for the selected artist to showcase new work in a contemporary art gallery. A selection panel will choose the winner of the prize. Deadline for submissions: Midnight 26th February 2018. After two very successful programmes, Artcore invites emerging and established artists to apply for our third Bridge the Gap: Artist in Residence Programme. 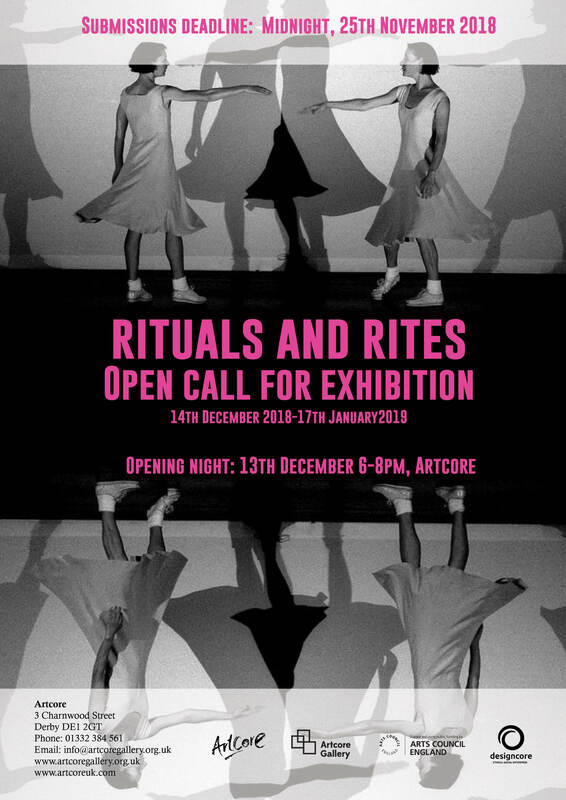 Artcore is providing two regional artists the opportunity of a two-month artist in residence programme at the Artcore Gallery in Derby. One of the residencies is for a recent arts graduate from Derby University. The artists will work in a shared space, enabling discussion, interaction and collaboration. Each artist will be given a bursary to develop a body of work and a mentor to guide them. Local and national marketing support will be provided by Artcore and e-catalogues will be produced to support the artist. 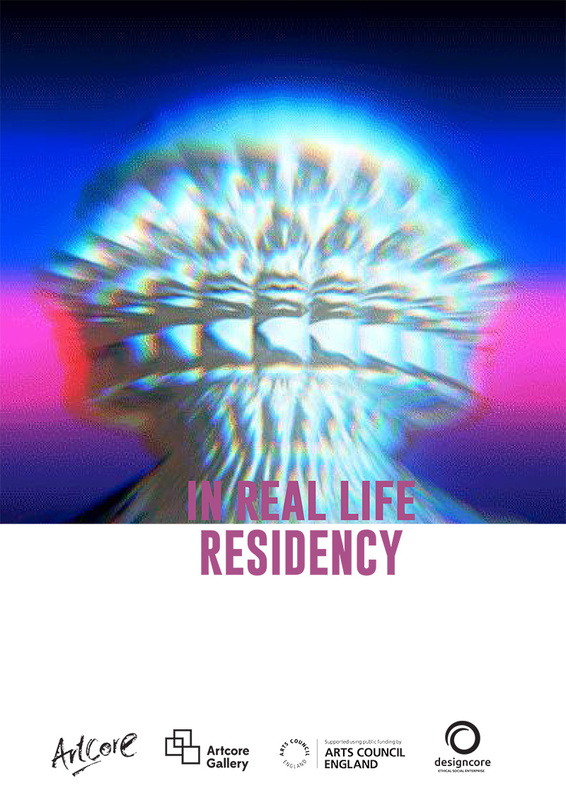 The residency will culminate in a Bridge the Gap: Artists in Residence Exhibition and launch event, with work exhibited at Artcore Gallery and London Road Community Hospital. Some of the work created will therefore need to be suitable for a 2D display enviornment. It will also need to be appropriate for a hospital setting – uplifting, yet challenging. There will be an opportunity to visit artcore to view the exhibition space on Monday 20th, March 2017 between 10am to 4pm. Please contact Artcore to confirm.